The time for voting is over. Well, at least until they announce the “Final Vote” participants anyway. But the time to make your voice heard in Major League Baseball’s annual “page-views-driven popularity contest which is easily swayed by a motivated fan base”, a.k.a. 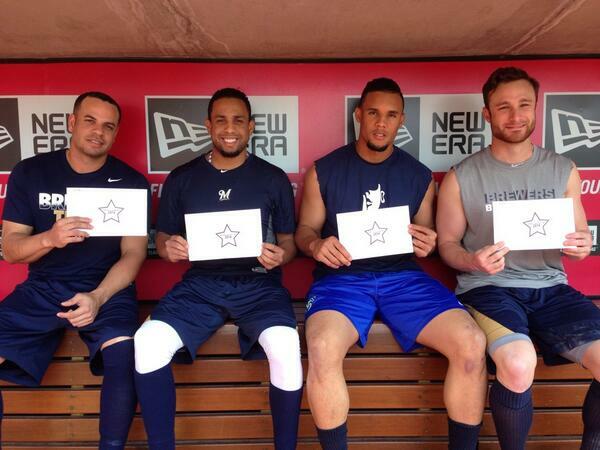 the All-Star Game Fan Ballot, has expired. Now comes the requisite gnashing of the teeth and summer’s version of the airing of grievances. Yes, the rosters for both the American and National Leagues will be revealed in a television event the likes of which you’ve only seen once a year for the last several! (That’s not all that catchy, is it?) Though the reveal this year happens on FOX, after having been on TBS last year, if I recall correctly, so that’s a change. Regardless, when the eligible participants in this year’s All-Star Game in Flushing, New York at Citi Field are unveiled, that’s when the real conversations start to take place. 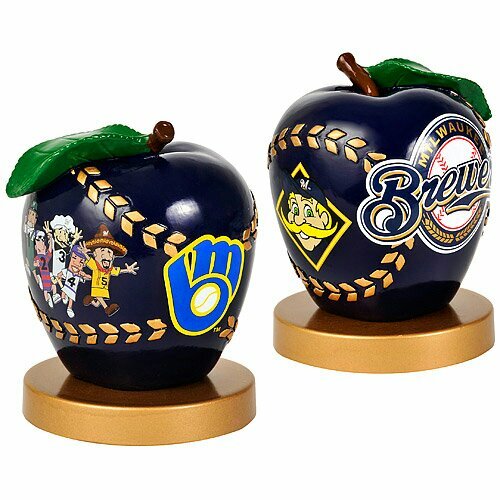 Hopefully, I don’t think that we’ll have to have that discussion about Brewers starting shortstop Jean Segura. 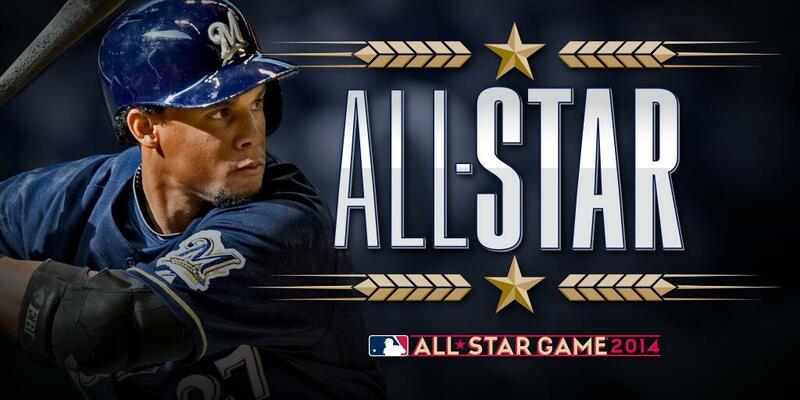 If ever there was what should be a non-fan-elected lock to make an All-Star team, Segura is one. His numbers are All-Star caliber and his profile in a fantasy sports landscape is more than elevated enough to allay concerns that fans of teams outside the NL Central Division won’t know who he is. The Dominican-born Segura was the key piece in the 2012 trade deadline deal which sent Zack Greinke to the Los Angeles Angels of Anaheim, Orange County, SoCal, California. He spent a pittance of time in the Brewers minor league system last year following the trade but was recalled at the beginning of August. His first month against MLB pitching was nothing to write home about, but from September on, all the young star has done is consistently display 4.5 tools on an everyday basis. Entering play tonight on Friday, July 5th, Segura is slashing .323/.359/.497 (with an OPS+ of 129). He’s produced a National League-best 108 hits, 28 of which went for extra bases. He’s third in the league with 26 stolen bases (against one three caught stealings) and despite only walking 14 times, he’s only struck out in 42 at-bats. He’s doing things at the plate that don’t show up in the box score as well. He’s hit behind lead-off man Norichika Aoki very well situationally in moving Aoki up on the bases. And his seemingly innate ability to beat out infield grounders for base hits has kept many an inning alive while contributing to more than one rally. Segura has shined in the field as well. His range is a breath of fresh air for Brewers fans who have dealt with the likes of Yuniesky Betancourt, Cody Ransom, a hobbled Alex Gonzalez, and more over the course of the past two full seasons. When positioned straight up in the field, there isn’t much hit on the ground to the left side that Segura can’t get to. His throwing arm has been accurate and gloriously strong also. The only knock on Segura at this point — and it’s been around since he was under consideration to move to second base while with the Angels organization — is that sometimes his hands aren’t all that soft. There have been a number of plays this season where Segura reaches a ball, doesn’t field it completely cleanly, but recovers with his quickness and arm to still collect an out. 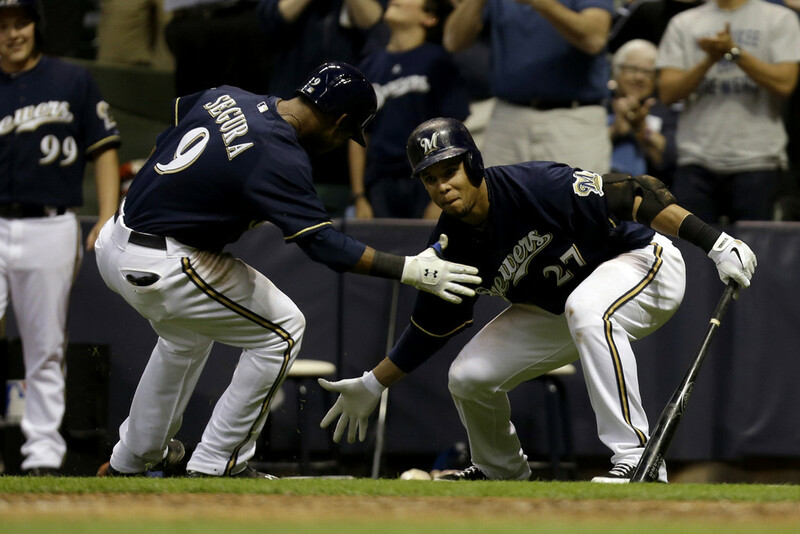 In fact, some of those plays helped highlight Segura’s arm early this season and get everyone excited in the first place. On the advanced metric side of things, Segura’s contributions in all facets of the game have led to his compilation of 3.2 bWAR/3.5 fWAR already this season. He’s also posted a 7.8 WPA+ and carries a .369 wOBA and a 136 wRC+. Those are what you would call significant totals. But I understand that the world we live in doesn’t allow for a team of starters based solely on their baseball playing merits. Troy Tulowitzki was justifiably garnering the majority of the fan vote before he cracked a rib and has missed significant time. He may be activated prior to the All-Star Game, but odds are that Colorado would suggest he not expose himself to unnecessary situations in an glorified exhibition. Beyond him, there isn’t a single shortstop available to play for the National League on July 16th that contains as complete a package and therefore as much potential to positively contribute to the fortunes of the team than Jean Segura. 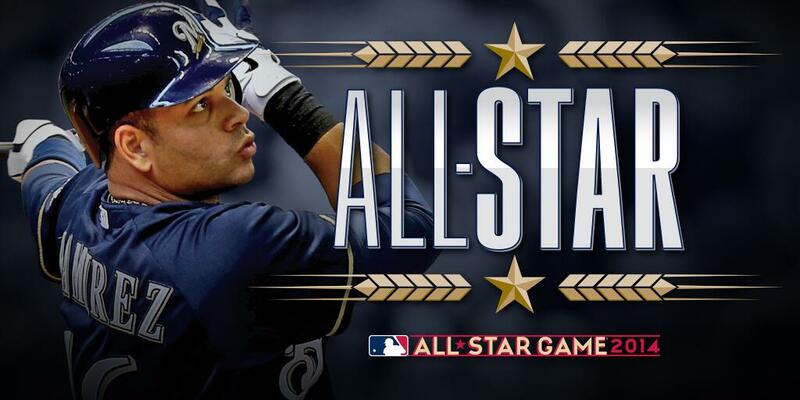 The bottom line is that people in and around baseball want Jean Segura on the National League All-Star Team. 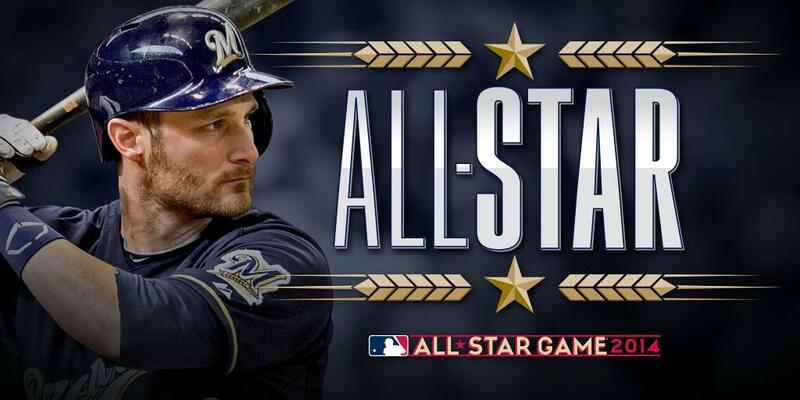 He’s the best choice to help the NL win the day and he’s the necessary choice if they’re only going to send one representative from the Milwaukee Brewers (though they need to send Carlos Gomez too, don’t kid yourselves). But, whether Segura was elected by his peers or selected by the National League’s coaches will be secondary to the fact that he makes the team at all. 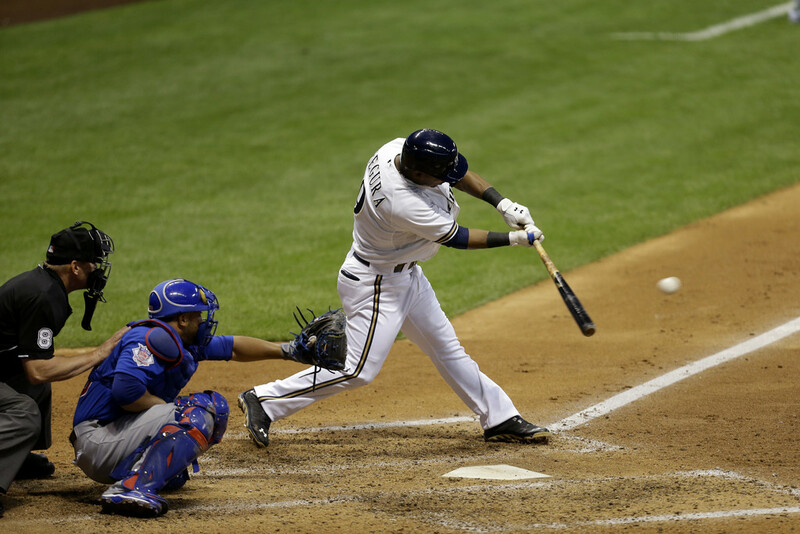 Jean Segura has been a revelation to the Milwaukee Brewers, their fans, and fantasy baseball players all over the world. Let him put the skills that made his such on display in New York on Tuesday, July 16th. It’s the right thing to do. 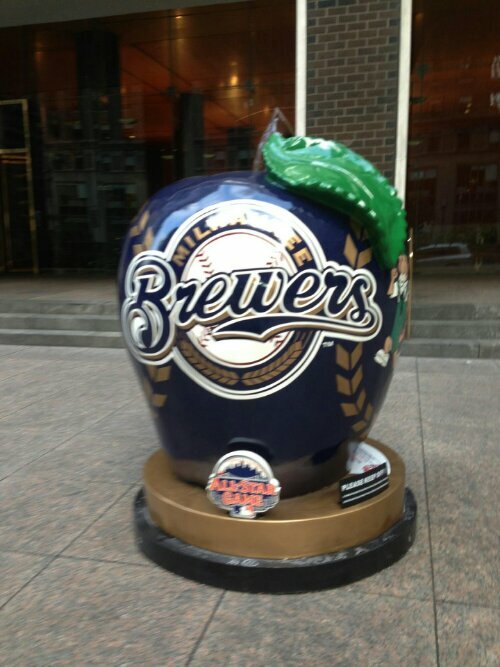 If Miller Park ever gets to host another All-Star Game to soften the memories of “The Tie”, and they made statues such as this year’s Apples, what should they be of? 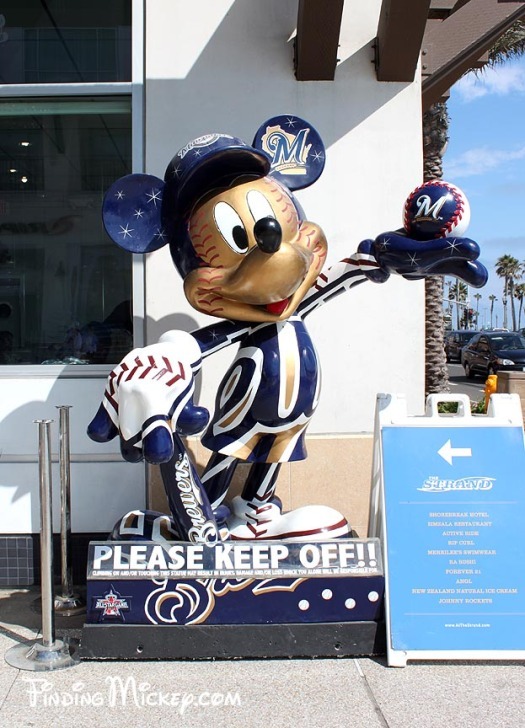 And when the Angels hosted in Anaheim, replica Mickey Mouse statues were constructed. 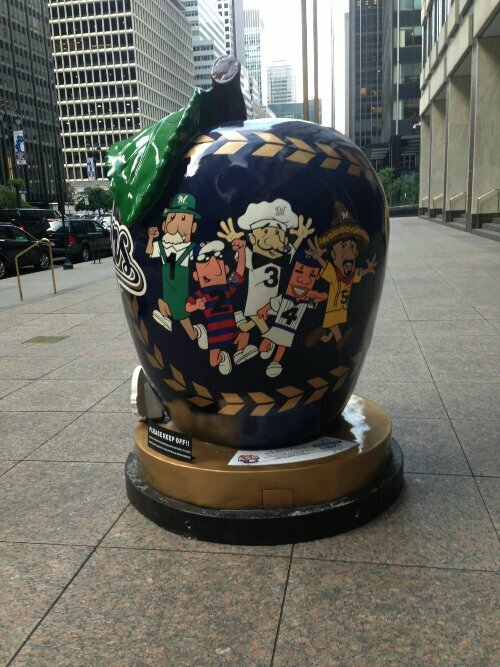 As you can see, the statues have been more about the host city than the host team. Let’s hear your opinion, Brewer Nation! 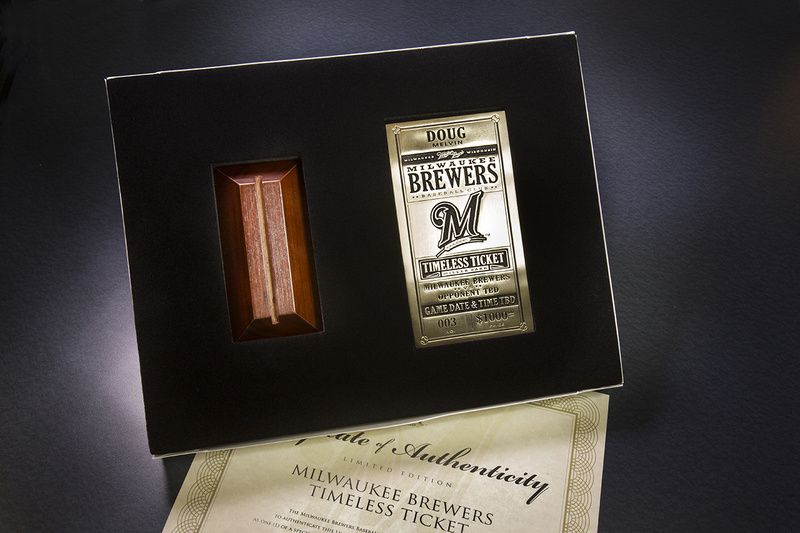 What screams: “Milwaukee!” to you? Vote on these options but if you select “Other”, please leave a comment with your idea. 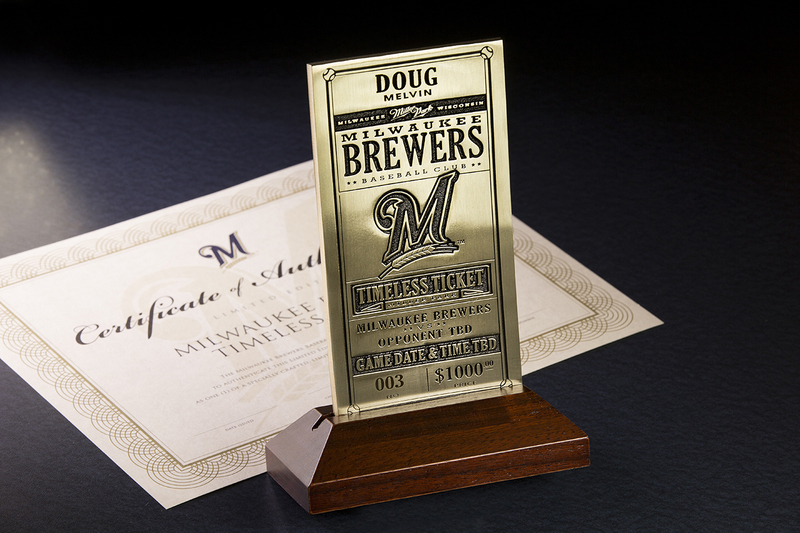 With a tip of the hat to Craig Glaser (@sabometrics on Twitter), here is an image of what the Brewers’ edition of the 2013 All-Star Game figurine — believed to be currently residing outside of the Commissioner’s Office — looks like. Fitting image given the game is being held at Citi Field this year. You may recall that this isn’t the first time something like this has been done either. 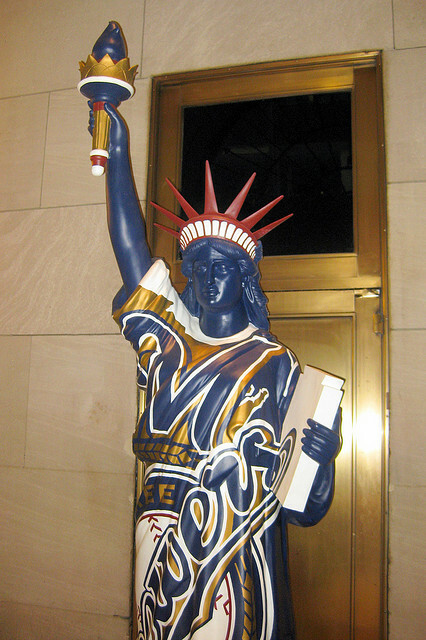 Miller Park displays both the Mickey Mouse statue and one of the Statue of Liberty which were produced for the games held in Anaheim (2010) and the Bronx (2008), respectively. 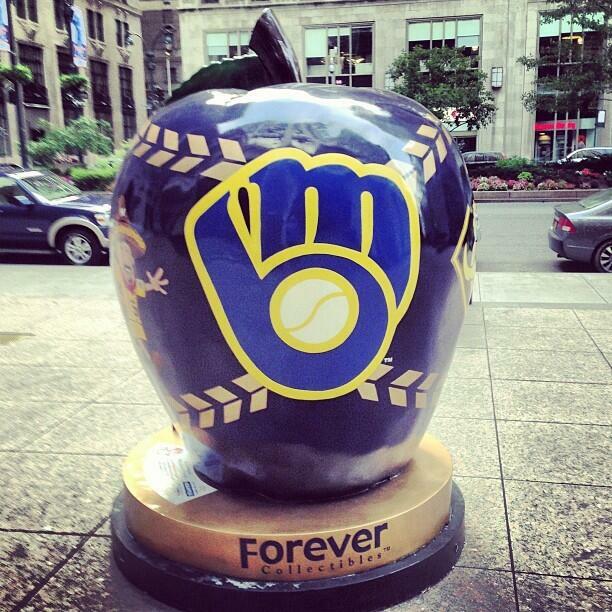 Hopefully this big apple makes its way to Milwaukee when it’s all said and done. I wonder where they’d put it?